FG Innovationsökonomie: Prof. Dr. rer. pol. 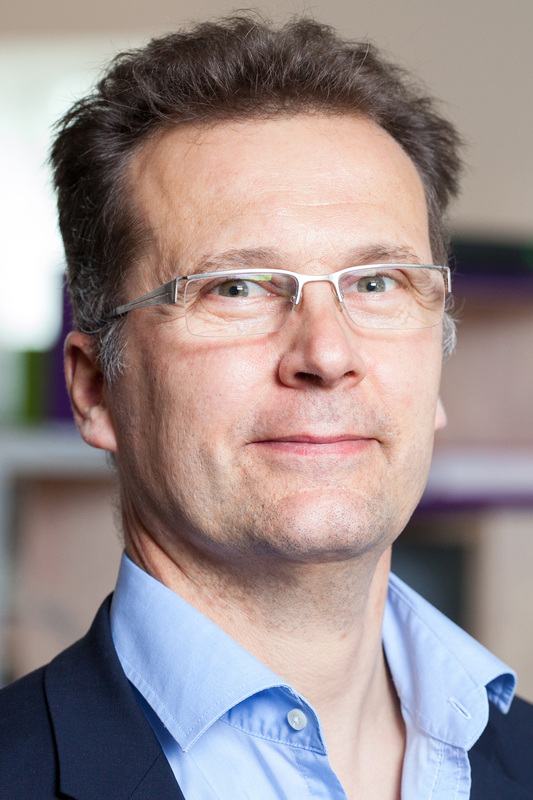 On April 1, 2010, Prof. Dr. Knut Blind changed to the Fraunhofer Institute for Open Communication Systems (FOKUS). Between 2008 and 2016 he held the Endowed Chair in Standardisation at Rotterdam School of Management, Erasmus University Rotterdam, where he was responsible for standardisation research. Since April 2006 Professor for Innovation Economics at the Technical University Berlin in the Faculty of Economics and Management. In 2003 habilitation thesis in the faculty of economics at Kassel University. In 1995 he obtained his doctoral degree, Dr. rer. pol. and was awarded the F. A. v. Hayek Prize of the Economic Faculty of the University of Freiburg. Between 1992 an 1995 he was a research assistant at the Institute for Public Finances of the University of Freiburg and lecturer at the Berufsakademie and Verwaltungs- und Wirtschaftsakademie. Diploma in economics awarded by the Faculty of Economics of the University of Freiburg in 1992. Studies of economics, political science and psychology at the University of Freiburg; one year studies at Brock University (Canada) completion of a Bachelor of Arts degree in 1990. Since 2011 associate Editor of "The International Journal of IT Standards & Standardization Research"
Blind, K., & Brock, M. (2018). Patentierung und Standardisierung: Leitfaden für modernes Innovationsmanagement. Blind, Knut (2016). Das Berliner Innovationspanel: Entstehungsgeschichte, erste Ergebnisse, Ausblick. In: Rammert, W., Windeler, A., Knoblauch, H., Hutter, M. (Hrsg. ), Innovationsgesellschaft heute - Perspektiven, Felder und Fälle (S. 219-236). Wiesbaden: VS Verlag für Sozialwissenschaften, Springer Fachmedien. in: Research Policy, 45(5), 941-950.
in: Journal of Productivity Analysis, 1–14. Blind, K., Mangelsdorf, A. (2016). Manders, B., de Vries, H.J., Blind, K. (2016). ISO 9001 and product innovation: A literature review and research framework. in: R&D Management 46(S2), 631-652. Alliance Formation of SMEs: Empirical Evidence from Standardization Committees by Blind, K.; Mangelsdorf, A., in: IEEE Transactions on Engineering Management 60 (1) (2013), pp. 148-156. Emerging coordination mechanisms for multi-party IPR holders: linking research with standardization by Iversen, E.; Bekkers, R.; Blind, K.; in: Industrial and Corporate Change 21 (4) 2012, pp. 901-931. Evaluating the demand side: New challenges for evaluation by Edler, J.; Georghiou, L.; Uyarra, E.; Blind, K.; in: Research Evaluation 2012, pp.1-15. Filing behaviour regarding essential patents in industry standards by Berger, F.; Blind, K.; Thumm, N., in; Research Policy Vol. 41 2012, pp.216– 225. Identification of future fields of standardisation - An explorative application of the Delphi methodology by Goluchowicz, Kerstin; Blind Knut, in: Technological Forecasting & Social Change 78 (2011) pp. 1526–1541. An Economic Analysis of Standards Competition - The Example of the ISO ODF and OOXML Standards, in: Telecommunications Policy 2011, 35, pp. 373-381. Revenue creation: business models for product-related services in international markets – the case of Zwick GmbH & Co. KG with Zähringer, D.; Niederberger, J.; Schletz, A., in: The Service Industries Journal 2011, 31(4), pp. 629–641. Putting Innovation at the Centre of Europe - Suggestions for a European Innovation Strategy with Georghiou, L., in: intereconomics 45 (5) 2010, S. 264-269. The Use of the Regulatory Framework for Innovation Policy, in: The Theory and Practice of Innovation Policy: An International Research Handbook, edited by Smits, Ruud E.; Kuhlmann, Stefan; Shapira, Philip, Edward Elgar Publishing 2010, pp. 217-246. Strategic Alliance Formation Motives in Formal Standardization - Empirical Evidence from Germany with Mangelsdorf, A., in: EURAS Proceedings 2010, 15th EURAS Annual Standardisation Conference; Jean-Christophe Graz and Kai Jakobs (Eds); Verlagshaus Mainz GmbH Aachen, pp. 259-271. Knowledge regimes and intellectual property protection in services: a conceptual model and empirical testing with Evangelista, R. and Howells, J. in: The Handbook of Innovation and Services: A Multi-disciplinary Perspective, published by Gallouj, Faiz; Djellal, Faridah, Edward Elgar Publishing 2010, pp. 342-363. The Role of Standards for Trade in Services: Hypotheses and First Insight, in: The Handbook of Innovation and Services: A Multi-disciplinary Perspective, published by Gallouj, Faiz; Djellal, Faridah; Edward Elgar Publishing 2010, pp. 527-544. How stakeholders assess the impacts of ICT standards with Gauch S. and Hawkins, R. in: Telecommunications Policy 2010, 34 (3), pp. 162-174. The influence of strategic patenting on companies' patent portfolios with Cremers, K. and Mueller, E., in: Research Policy 2009, 38 (2), pp. 428-436. Research and Standardisation in Nanotechnology: Evidence from Germany with Gauch, S. in: Journal of Technology Transfer 34 (3), June 2009, pp. 320-342. Trends in ICT Standards: The relationship between European standardisation bodies and standards consortia with Gauch, S.. in: Telecommunication Policy 2008, 32 (7), pp. 503-513. The Dynamics of Standards edited by Egyedi, T. and Blind, K., Edward Elgar Publishing 2008. Impact of patents and standards on macroeconomic growth: a panel approach covering four countries and 12 sectors with Jungmittag, A. in: Journal of Productivity Analysis 2008, (1), pp. 51-60. Motives to patent: Empirical evidence from Germany with Edler, J., Frietsch, R., Schmoch, U, in: Research Policy 2006, 35, pp. 655-672. A Taxonomy of Standards in the Service Sector: Theoretical Discussion and Empirical Test. in: The Service Industries Journal 2006, 26(4), pp. 397-420. Explanatory Factors for Participation in Formal Standardisation Processes: Empirical Evidence at Firm Level, in: Economics of Innovation and New Technology 2006, 15(2), pp. 157-170. Software Patents Economic Impacts and Policy Implications with Friedewald, M. and Edler, J., Edward Elgar Publishing 2006. Trade and the impact of innovations and standards: The case of Germany and the UK with Jungmittag, A., in: Applied Economics, 2005, 37, pp. 1385-1398. The Economics of Standards . (Chinese version) Theory, Evidence, Policy Cheltenham 2004 (Edgar Elgar), ISBN 1-84376-793-7 Pick It! , google.books. Foreign Direct Investment, Imports and Innovations in the Service Industry with Jungmittag A., in: Review of Industrial Organization 2004, 25(2), pp. 205-227. Interrelation between Patenting and Standardization Strategies. Empirical Evidence and Policy Implications with Thumm, N., in: Research Policy 2004, 33, Nr. 10, pp. 1583-1598. Idiosyncrasies of the Software Development Process and Their Relation to Software Patents: Theoretical Considerations and Empirical Evidence, in: Netnomics 5 (1): 71-96, May 2003. Software-Patente, eine empirische Analyse aus ökonomischer und juristischer Perspektive with Edler, J., Nack, R., Straus, J. Physica-Verlag, Heidelberg 2003. Driving forces for standardization at standardization development organizations, in: Applied Economics 2002, 34, pp. 1985 - 1998.